Like a lot of you that are reading this post, we are in the middle of ramping up for our winter semester groups launch in just a few weeks. Our winter Kick-Off is extremely important for us because January is normally our largest growth month for the church. People have made their resolutions and have decided to give church another try (or a first try). We know that they are much more likely to stick if we can connect them into community as soon as possible. Most people that leave the church never got connected in a small group. 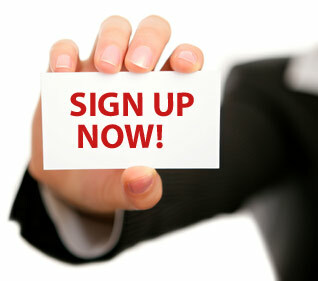 We will typically sign up an average of over 1000 new people every January for groups. That’s a daunting number to think about assimilating into community groups. We know that not every person that signs up will actually show up, but we have discovered a few things that help get them from the church lobby to the small group home. Follow up quickly with a phone call. We have staff, interns and volunteers that call every single card with 48 hours of the sign-up. They just simply thank them for signing up and let them know that we are working on getting them in a group. Ask our leaders to respond to people within the first week. We ask them to email and then follow up with a phone call. It may take as many as 3 touches before someone will respond. Encourage new leaders to have their first meeting in a neutral location. This can be at the church, a coffee house, apartment clubhouse, or a restaurant. One of the scariest parts about groups is that first meeting at a strangers house. This helps eliminate some of that worry. Give people 2nd and 3rd chances to find the right group. Not every group is going to be a perfect fit the first try. Their work schedule may change, decide they need a different type of group…etc. We will work hard to find a group that will hopefully fit. That’s not always possible and we have to be ok with that. If someone can’t find a group that fits, we encourage them to start a group or be a groups host. Most people have a few friends and neighbors that are just waiting to be asked to be in community.